Christians following the Gregorian calendar are getting busy to celebrate Christmas, but the business of diplomacy continued in the United Nations. In the Security Council, anticipation about a particular resolution was greater than usual. 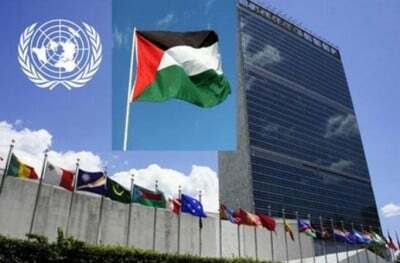 On Friday, interest was piqued by what the Obama administration’s representative, Samantha Power, would do about a particular resolution that had riled Israeli politicians, US president-elect Donald Trump, and various members of the US Congress. The resolution further reiterated that no recognition would be afforded to “any changes to the 4 June 1967 lines, including with regard to Jerusalem, other than those agreed by the parties through negotiations.” States were also “to distinguish, in their relevant dealings, between the territory of the State of Israel and the territories occupied since 1967”. On that score, Israeli pressure had proven to be effective, mounted aggressively by Netanyahu, the Foreign Ministry and the National Security Council. Donald Trump’s huffing had also convinced the Egypt to desist, though the exact form of that persuasion is unclear. It was left to New Zealand, Malaysia, Venezuela and Senegal to take the wheels of the resolution and drive it to a vote. For Trump, mounting the soapbox in favour of such a position was prejudicial – to Israel. “This puts Israel in a very poor negotiating position and is extremely unfair to all Israelis.” Trump had already signalled his position on Israeli affairs with his nomination for the post of US ambassador to Israel, David Friedman. Friedman’s record behind encouraging the settlement program is known. He rejects any notion that a two-state solution is viable and has suggested that Israel fob off all international criticism and annex part of the West Bank. He has excoriated morally troubled Jews supporting a two-state solution as “kapos,” the dark term used to describe Jews dragooned into assisting the extermination of their own people by the Nazis. In some instances, his views make those of Netanyahu moderate. An answer finally came: an abstention by the US was registered, meaning that it passed with 14 votes. Power’s statement suggested that the goals of continuing settlement programs being pursued by Israel, and the negotiations on a two-state solution, were mutually exclusive. This stark view was not one shared by such pro-Israeli stalwarts as Republican Senator John McCain. In these circles, Israel remains the perennial, noble victim, permanently at the mercy of forces it needs to control, and even repel. Noble victims, armed to the teeth with the most modern of weaponry and nuclear weapons, indifferent to thieves masquerading as squatters, tend to spout gibberish before the canons of international law. “By voting yes in favour of this resolution,” claimed Danon, “you have in fact voted no. You voted no to negotiation, you voted no to progress and a chance for better lives for Israelis and Palestinians, and you voted no to the possibility of peace.” Bully knows best. In abstaining, the United States marked “a troubling departure from our nation’s long, bipartisan history of defending our ally Israel in the United States.” A defence was always to be mounted for that beleaguered state, right or wrong. That stance has been a long standing one: legal writ, ill-fitting for Israel’s foreign and domestic policy, will be disregarded. Washington’s buffering support can be counted upon. With a Trump presidency, support for such a stance will be forthcoming – in bucket loads.